I once spent several weeks during the run-up to Christmas stranded on the couch after a cycling accident. 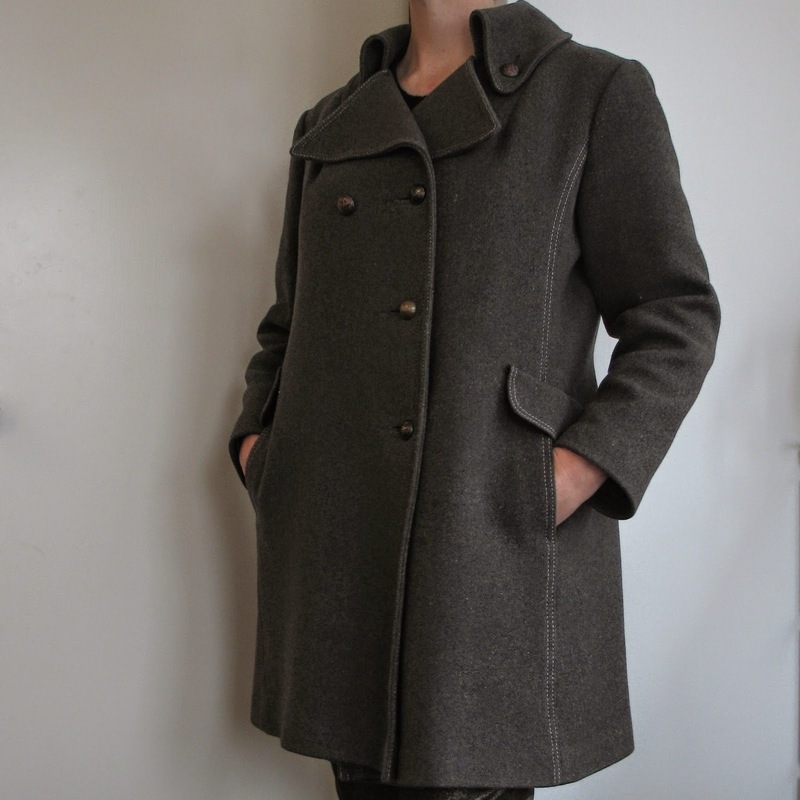 With nothing better to do than surf the Internet I did all my gift shopping online and bought a winter coat. 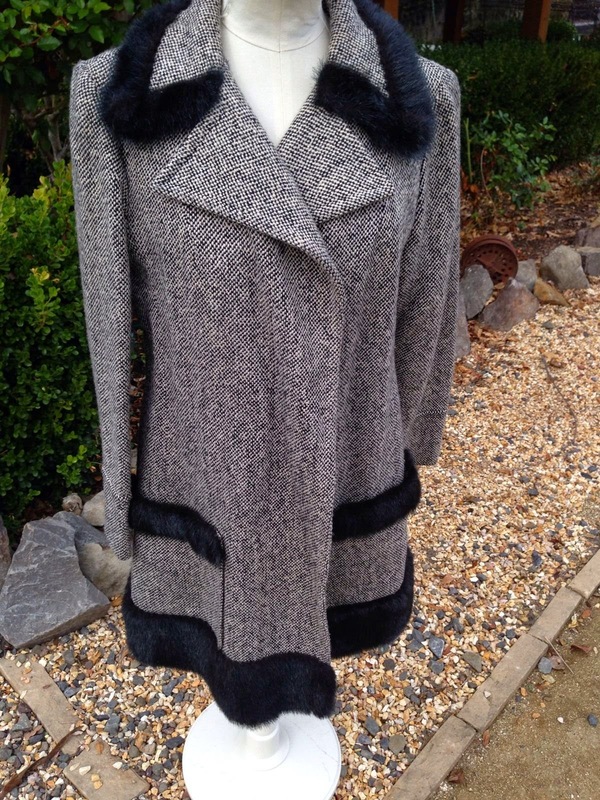 I looked at many examples, new and vintage, from many different sources and I passed up a number of brand new mid-range coats to buy this one. I've not regretted it for a moment. They really don't make 'em like this anymore. Buying vintage online can be a gamble when you can't be sure what you're looking at. Used garments rarely declare their quality in amateur photos taken by independent dealers. It's far harder to assess fit when all you have are a vendor's measurements. How can you tell how fabric feels from an image on a screen? All you can do is use your imagination and trust your experience. The pictures were not a recipe for love at first sight. But something about it prompted me to bookmark and return to it for a closer look. The subtle silhouette, the structure in the shoulder, the detail on the collar. And the deal breaker: boiled wool. But I'll come to that. 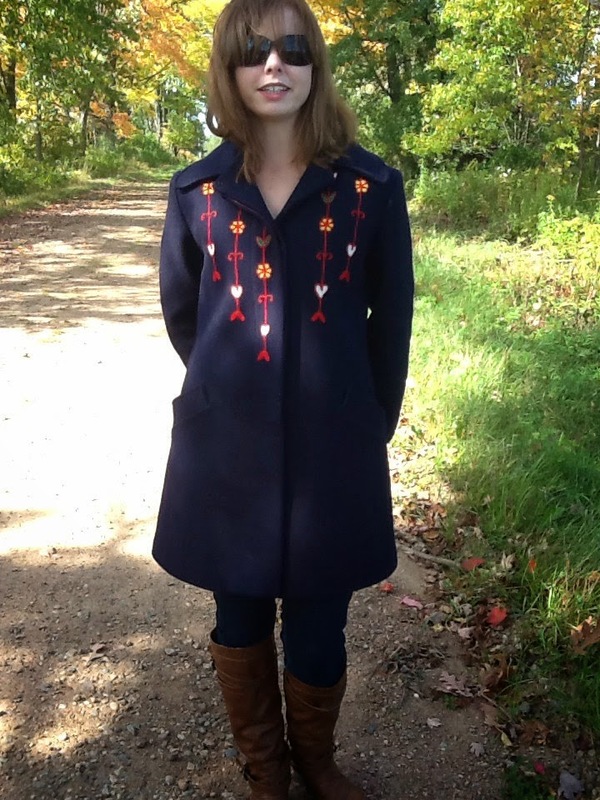 The history and provenance of this coat are hard to pin down. 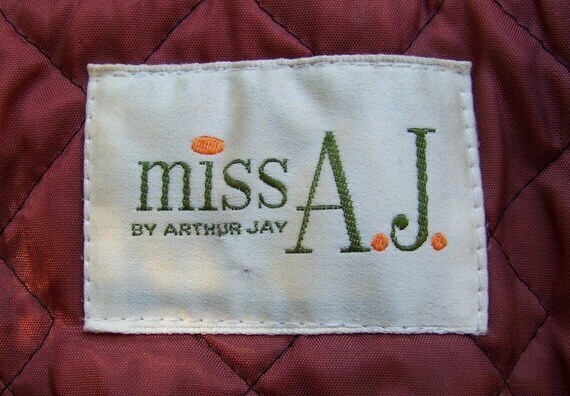 The label identifies the origin as the long forgotten Miss A.J. by Arthur Jay. A few examples by the same brand are floating around the Internet's vintage and second hand dealers, flaunting some fine materials and covetable styling. Vendors are generally agreed that they originate somewhere in the 70's, but their refined cuts and obvious quality stand the test of time. The most striking feature of these three very different coats is just how similar they are in profile. They all share the same qualities that drew me to the first example: timeless tailoring, detailed execution, quality materials. I don't think it's an accident that all three were listed in excellent condition. And all bar the styling details virtually the same model: a gracefully structured A-line with an extended collar. What's not to like? It makes sense for a business to return to a successful model over a number of seasons, reimagining it in multiple styles and allowing it to become part of the brand's identifiable DNA until it evolves into something else. 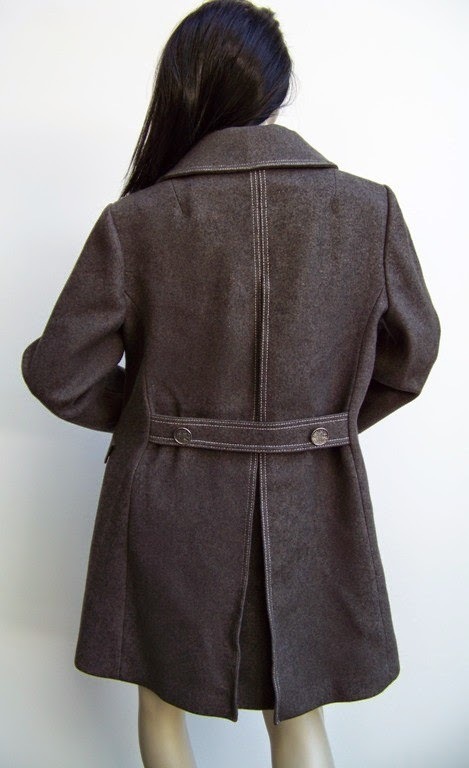 By the time these coats hit the streets this shape had already been around for a number of years, becoming a recognisable part of the contemporary language of womenswear and diverging into the softer form associated with the 70's. 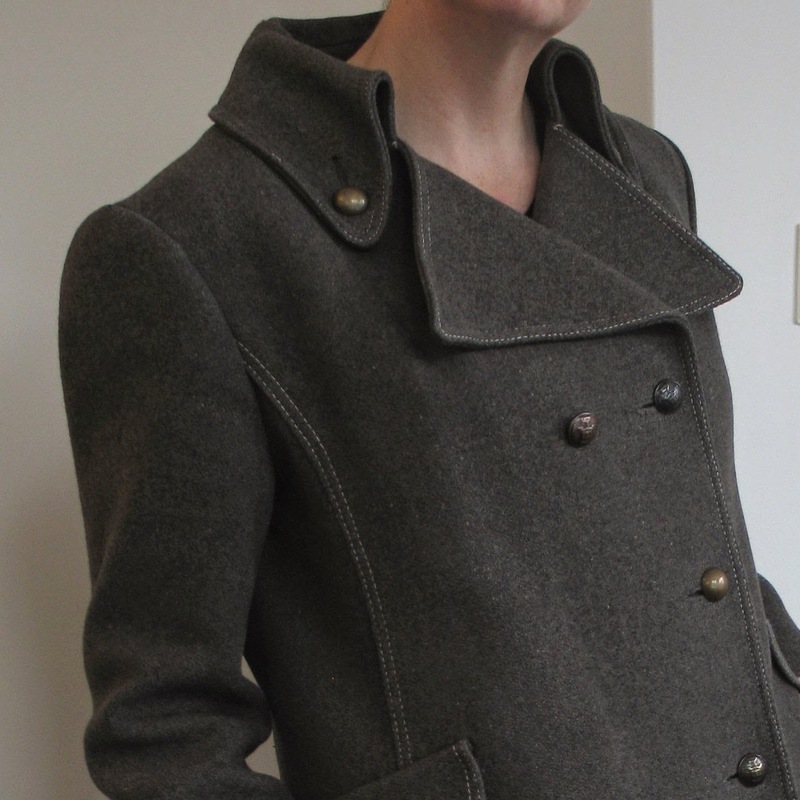 A little restoration work, a fresh lining and a new set of buttons introduce a more forward-looking military style, propelling a vintage coat into the 21st century. And so the style marches on. 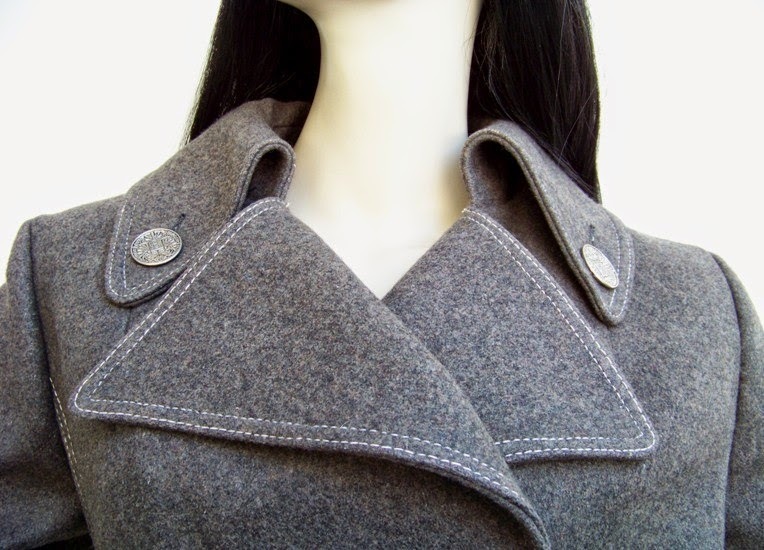 The moment I fear that a grey military peacoat might fall out of favour, one of the great magpies of contemporary fashion takes hold of it and makes it over, giving it a whole new lease of life. I breathe a sigh of relief and my coat is good for another five years' wear. We like to imagine that commercial fashion moves very quickly nowadays, and in terms of time to market it certainly does. But compared to the era that produced these garments, it's been moving very slowly indeed for at least twenty years. The wide variety and breakneck speed of the market has made it all but impossible for discernible new forms to gain traction long enough to evolve. 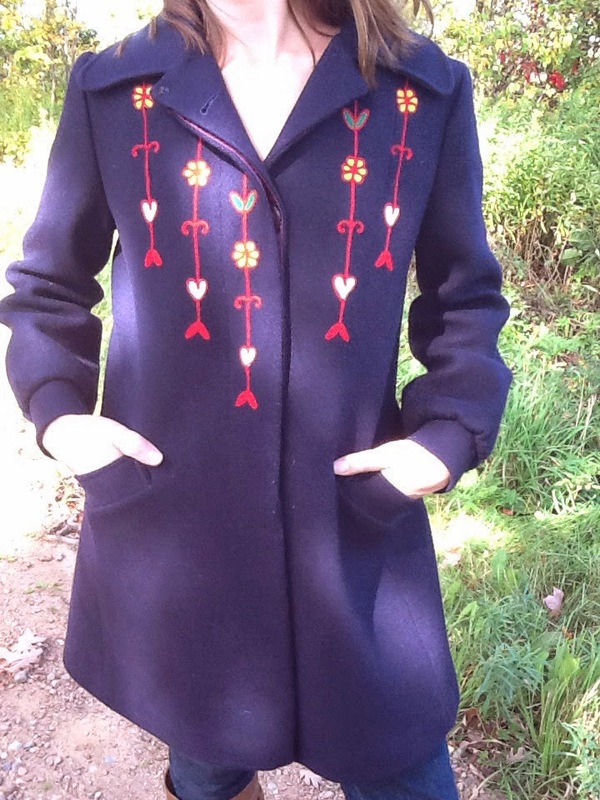 A design originating in the mid sixties remains perfectly wearable half a century later. Except in one area, which continues to innovate. 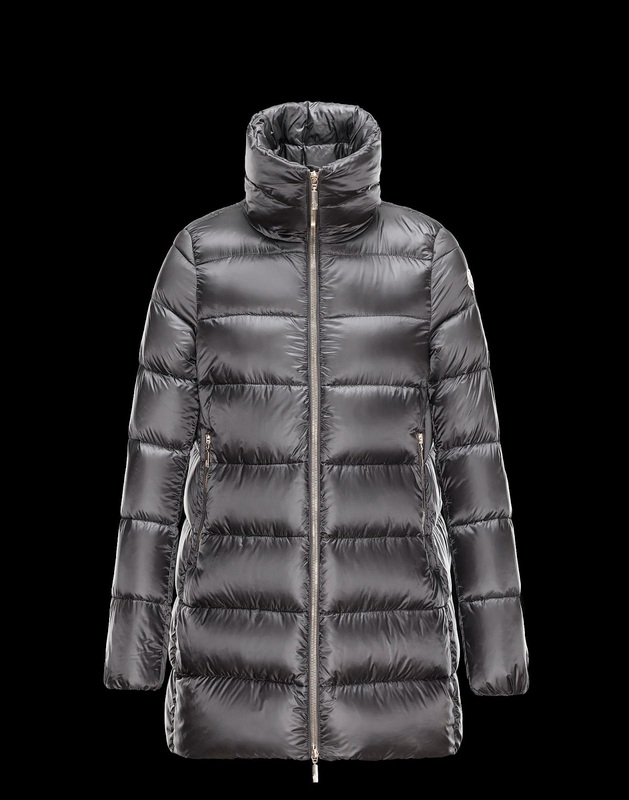 Mainstream retailers serve up no end of lightweight, practical quilted jackets in the winter, with the inevitable result that fashion defaults to gear when the weather kicks in. We have little choice but to freeze to death or swaddle ourselves in down like chic Michelin men. The tragedy is that we've all but forgotten there ever was a choice to begin with. I've written before about wool's traditional uses as performance wear for extreme conditions, and boiled, felted wool is unrivalled for its warmth and water resistant properties. 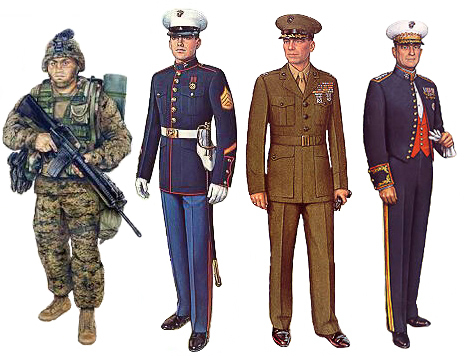 It's relatively unusual to find it in fashion garments (a great loss to the contemporary winter wardrobe) but it's widely used for military dress uniforms, where its embellishment signifies rank and status. 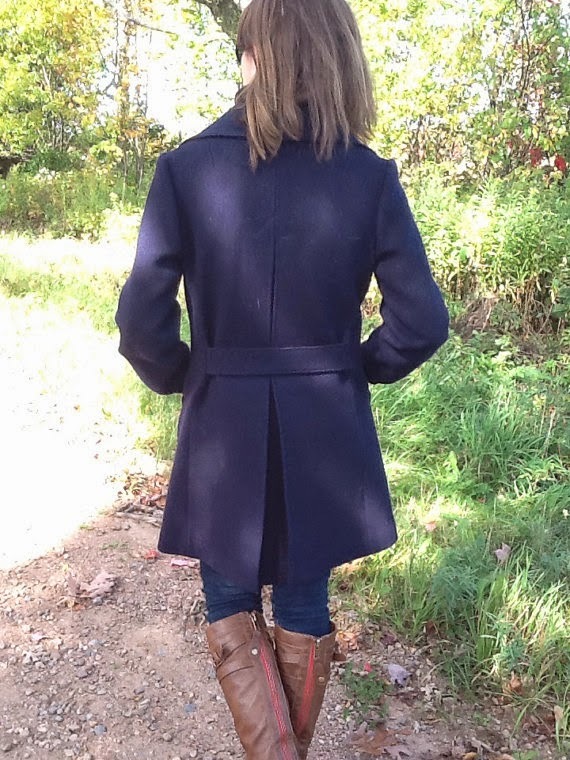 If a faux military pea coat is the attire of an effete officer class, then the down jacket must surely be the utilitarian battle dress for people in action. 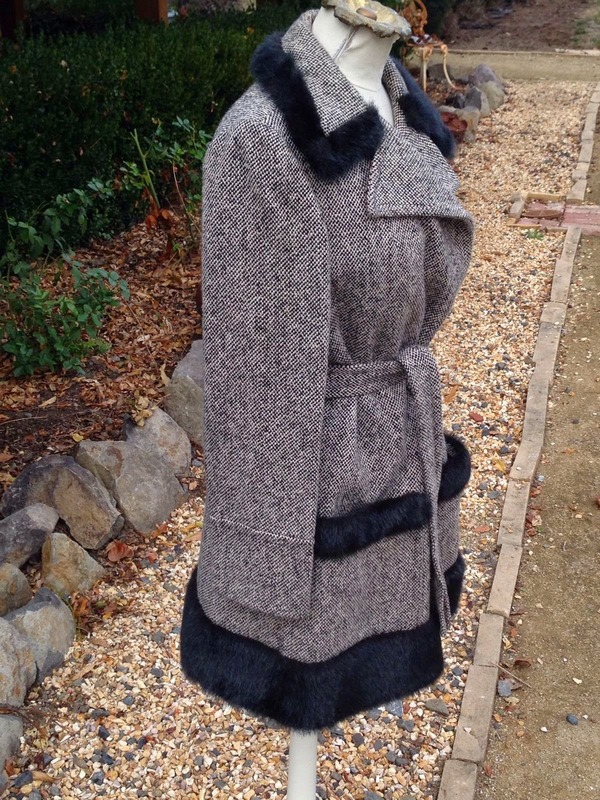 This divergence of practical application from high fashion reflects the changing roles of women over the half century that has passed since those earlier versions of my coat first appeared. We can see this in representations of two very different women who might wear one or the other. 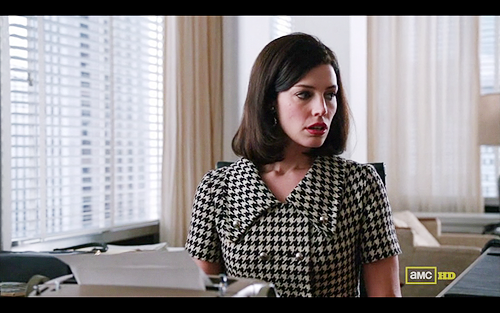 In the mid-sixties, a mod pea coat with military styling might well have found its way onto the back of the trophy wife of a Madison Avenue advertising executive, like the beautiful, mercurial and much maligned Megan Draper. 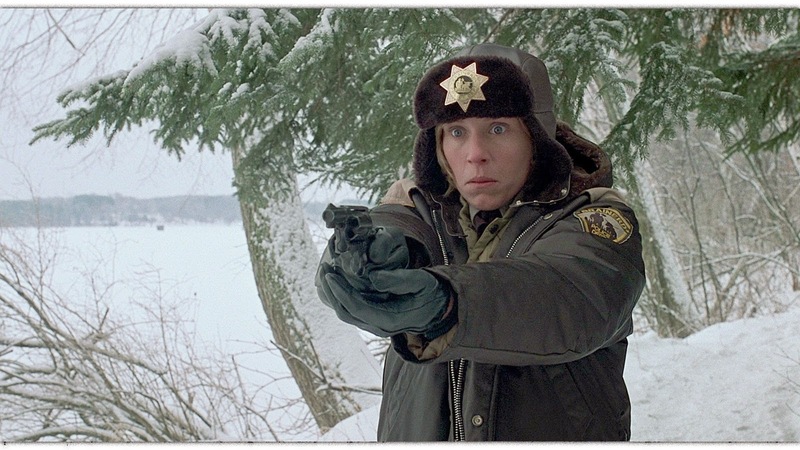 But by the end of the century, a quilted parka is the best possible option for a woman with real work to do, such as committed police officer and mum-to-be Marge Gunderson. Hence, mainstream culture offers up two distinct identities with the implicit expectation that we can make a straightforward choice between them. In the eyes of the world, between the degenerate glamour of Megan and the virtuous practicality of Marge runs a middle ground which is harder than ever for the modern woman to navigate.